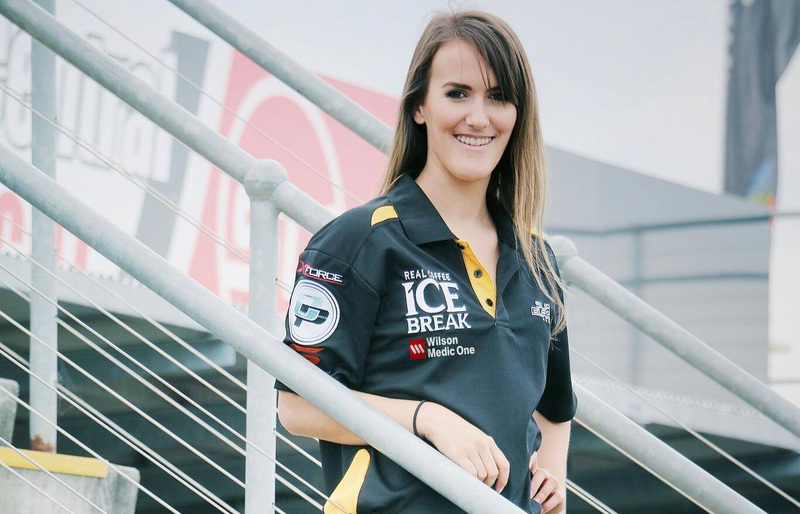 Chelsea Angelo is set to return to the Supercars Dunlop Series for two of the year’s biggest events, with Matt White Motorsport fielding an entry for her at Sandown and Bathurst. Angelo started the season with Dragon Motor Racing but was forced to sit out the last round in Townsville after a shortfall in budget. 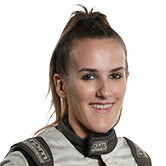 Now, she will join Renee Gracie in the Dunlop Series as the second female racer on the grid, weeks after the confirmation the Virgin Australia Supercars Championship will have a permanent full-time female driver for 2017 in Simona De Silvestro. The 20-year old is confident about tackling Sandown for the first time in a Supercar and after sitting out the last event, is as determined as ever. “I’m absolutely over the moon and so incredibly grateful for everyone who has helped me get there,” Angelo told supercars.com. A team switch to MWM means a manufacturer swap for, who will jump in an ex-Mark Winterbottom Prodrive Ford Falcon FG after starting the year in an ex-Michael Caruso Garry Rogers Motorsport Holden Commodore. She tested the car earlier this week at Winton Motor Raceway in case the deal for Sandown came to fruition. “It’s different – I’ve been in quite a few different cars in my past few years,” she said. As a young female racer, Angelo acknowledges just how tough the racing industry is to crack regardless of gender, and feels De Silvestro’s presence will be a huge step in Australia. “It’s absolutely fantastic with Simona, I think it’s great for women in general who are trying to get into the worldwide industry of motorsport. Wilson Security boss John McMellan has been instrumental in the deal – which sees Angelo race at the Wilson Security Sandown 500 – as well as Angelo’s mentor, Virgin Australia Supercars Championship racer Chris Pither. Team boss Matt White was impressed with Angelo’s speed at this week’s test day and was pleased to welcome her into the fold alongside current drivers Bryce Fullwood and Shae Davies, who is doing double duties at Sandown. “We’ve been in discussions with Chelsea for about a year now,” White told supercars.com. “We tested Chelsea as part of our test day earlier this week at Winton so she got the opportunity to have a run with us and I was suitably impressed. Parmalat marketing manager Jenni Booth was pleased to be part of the announcement. "Chris Pither came to us and asked for some support for Sandown – we saw it as a great opportunity and jumped on board," Booth said. The Dunlop Series has three races across the weekend at the Wilson Security Sandown 500.